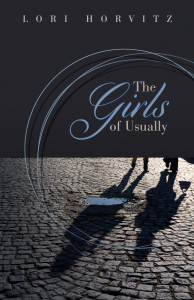 Please join Green Apple in welcoming author Lori Horvitz as she discusses her book, The Girls of Usually with local author Susie Hara on Thursday, May 28th 2015 at 7pm in the Granny Smith Room of our main store on Clement. Lori Horvitz grew up ashamed of her Eastern European Jewish roots, confused about her sexuality, and idolizing the "shiksa in her living room," a blonde all-American girl whose photo came in a double frame and was displayed next to a family photo from a bar mitzvah. Unable to join the "happy blonde families," she becomes a "hippie chick" who travels the world in search of … something. The Girls of Usually chronicles each trip, each romance, each experiment in reinventing herself that draws her closer to discovering the secret door through which she can escape from deep-rooted patterns and accept her own cultural, ethnic, and sexual identity. Susie Hara’s first novel, Finder of Lost Objects, was published by San Francisco publisher Ithuriel’s Spear Press in 2014. Her stories have appeared in several anthologies, including Fast Girls and Stirring up a Storm. Her play Lost and Found in the Mission, written with Rowena Richie, won the Best Ensemble Award in the San Francisco Fringe Festival. As an actor, she has worked with theater companies Word for Word and Teatro de la Esperanza, and as a writer/performer, she performed her work at the Marsh and Z Space Studio. She has received writing fellowships from Millay Art Colony, Ragdale Foundation, and Virginia Center for the Creative Arts. She lives and writes in San Francisco..